Sheilah Graham (born Lily Shiel; 15 September 1904 – 17 November 1988) was a British-born, nationally syndicated American gossip columnist during Hollywood's "Golden Age". Along with Louella Parsons and Hedda Hopper, Graham came to wield sufficient power to make or break Hollywood careers—prompting her to describe herself as "the last of the unholy trio." Graham also was known for her relationship with F. Scott Fitzgerald, a relationship she played a significant role in immortalizing through the autobiographical Beloved Infidel, a bestseller that was made into a film. In her youth, she had been a showgirl and a freelance writer for Fleet Street in London and had published several short stories and two novels. These early experiences would converge in her career in Hollywood, which spanned nearly four decades, as a successful columnist and author. Graham was born Lily Shiel in Leeds, England, the youngest of Rebecca (Blashman) and Louis Shiel's eight children (two died). Her parents were Ukrainian Jews. Her father, a tailor who had fled the pogroms, died of tuberculosis on a trip to Berlin while she was still an infant. Her mother and the children moved to a basement flat in a Stepney Green slum in the East End of London. Her mother, who spoke little English, struggled to provide for her children there by cleaning public lavatories. Her mother was forced by these circumstances to place her in the Jews Hospital and Orphanage. In Recollections of Sheilah Graham, her daughter, Wendy Fairey, wrote: "Entering this institution at age six, my mother had her golden hair shaved to the scalp as a precaution against lice. To the end of her life, she was haunted by the degradation of this experience. Eight years later when she 'graduated,' she had established herself as Norwood's "Head Girl": captain of the cricket team and recipient of many prizes, including both the Hebrew prize and a prize for reciting a poem by Elizabeth Barrett Browning". Graham, then still known as Lily, had been trained for a career in teaching. When she left the orphanage, her mother was dying of cancer, and Graham returned home to care for her. Upon her mother's death, the 16-year-old took a job in a department store demonstrating a speciality toothbrush and moved into a tiny flat in London's West End. At 18, she married John Graham Gillam, whom her daughter describes as "a kindly older man who proved impotent, went bankrupt, and looked the other way when she went out with other men." During this marriage, largely through the tutelage of her husband, she improved her speech and manners. She also enrolled in the Royal Academy of Dramatic Arts, changed her name, and became a music hall dancer as a "Cochran's girl." It was during her time in the British musical theater that Graham began to write professionally, anecdotally receiving two guineas (£2.10) from the Daily Express for an article entitled "The Stage Door Johnnies, by a Chorus Girl," which she wrote on a challenge by her husband. While still in Britain, she attained some success as a freelance writer and published two novels, both of which sold poorly. In 1933, Graham sought her fortune in the U.S., leaving her first husband, whom she would divorce in June 1937. Her modest, youthful success as a writer enabled her to land jobs as a staff reporter in New York City working successively for the New York Mirror and the New York Journal American. She energetically pursued scoops and wrote features with sensational headlines like "Who Cheats Most in Marriage?," a survey comparing the infidelities of various nationalities of men. In 1935, John Neville Wheeler, head of the North American Newspaper Alliance, which was becoming the preeminent press service, recruited her to write NANA's syndicated Hollywood column. She describes having "landed in the film capital on two left feet" and needing to temper her brash outspokenness with film industry sensibilities. In her autobiographical book A College of One, she relates the dichotomy between dealing with "notoriously ignorant" filmmakers and the discomfort she felt over her own limited education and background in the company of her colleagues in journalism and screenwriters, mentioning Robert Benchley, Marc Connelly, Dorothy Parker and F. Scott Fitzgerald, to whom she would soon become an intimate, longtime companion. Although marked by an inauspicious start, Graham quickly rose to fame through her column, "Hollywood Today," which she wrote daily for over 35 years, interrupted only by serving as a war correspondent during World War II. The column at its peak was carried in 178 papers in 1966, compared to 100 papers for rival Louella Parsons and 68 for Hedda Hopper. She divorced John Gillam in June 1937 to become engaged to the Marquess of Donegall (Dermot Chichester). 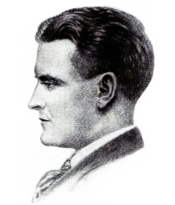 A month later, she met F. Scott Fitzgerald, with whom she relates having immediately fallen in love, and the engagement with Chichester was broken soon thereafter. Ruthe Stein quotes her as saying, "I'll only be remembered, if I'm remembered at all, because of Scott Fitzgerald." They shared a home and were constant companions while Fitzgerald was still married to his wife Zelda, who was institutionalized in an asylum. Nonetheless, Graham protested her description as his "mistress" in her book The Rest of the Story on the basis that she was "a woman who loved Scott Fitzgerald for better or worse until he died." It was she who found his body in 1940 in the living room of her West Hollywood, California, apartment, where he had died of a heart attack. They had been together only three and a half years, but her daughter reports that Graham "never really got over him." During those three years, Scott outlined an educational "curriculum" for her and guided her through it, which she later wrote about in detail in A College of One. Graham also later wrote of her years spent with Fitzgerald in the 1958 book Beloved Infidel, which was later adapted as a movie. Upon Fitzgerald's death, seeking a respite from the social demands and frantic pace of her life, Graham arranged for an assignment as a foreign correspondent in NANA's London bureau. This afforded her the opportunity to demonstrate her abilities as a serious journalist. Her first major story from the UK was an in-depth interview with George Bernard Shaw, and she later filed another with Winston Churchill. Her brief respite from Hollywood lasted until the conclusion of World War II. In the UK, she met Trevor Cresswell Lawrence Westbrook, whose company manufactured Spitfire fighter planes for the Royal Air Force. After her return to the United States in late 1941, they married. Graham's two children, Wendy and Robert, were born during this marriage, which ended in divorce in 1946. Wendy, in her autobiographical book One of the Family, writes of discovering as an adult that her father was, in fact, British philosopher A. J. Ayer; Ayer reportedly suggested that Robert (aka Robert Westbrook)'s biological father was probably actor Robert Taylor. In August 1947, Graham was naturalized as a United States citizen, and in February 1953 she married her third husband, Stanley Wojtkiewicz, whom she later described as a man "of Polish ancestry with an unpronounceable name." They were divorced after about two years of marriage. Neither her foreign correspondence nor motherhood prevented Graham from achieving her ambitions. She demanded a salary of $5,000 per week to resume her column, an amount comparable to that of the stars she was covering. In addition, she was a regular contributor to Photoplay and had her own radio program, which moved to television in 1951, whereon she delivered commentary and celebrity interviews—a forerunner to the talk show. 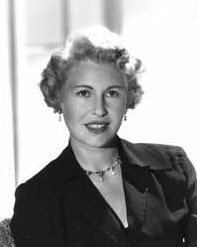 From 1952 to 1953, Variety carried a separate gossip column by Graham that differed, in content, style, and attention to precise accuracy, from that which she wrote for the general public. In April 1969, Graham changed the name and format of her syndicated column, citing waning public interest in Hollywood gossip. Retitled "Hollywood Everywhere," the scope included celebrities, public figures, and diverse commentary. In 1971, Graham wrote her last syndicated column and moved to Palm Beach, Florida, where she continued for several years to make celebrity guest appearances on television, wrote on a freelance basis for magazines, and authored nine more books. Graham died on November 17, 1988, in Palm Beach, Florida, of congestive heart failure at the age of 84. One other early novel, unknown title, published in Britain before 1935. ^ a b c d e f g h i Fairey, Wendy. "Recollection of Sheilah Graham". Oral History. Jewish Women's Archive. Retrieved 20 November 2006. ^ Westbrook, Robert. "Robert Westbrook: Biography". Website. Retrieved 20 November 2006. ^ a b c Krebs, Ablin (19 November 1988). "Sheilah Graham Is Dead at 84; Wrote Hollywood Gossip Column". The New York Times. Retrieved 31 July 2009. ^ "We Remember Sheilah Graham", jwa.org; accessed 23 July 2015. ^ a b Graham, Sheilah. College of One: The Story of How F. Scott Fitzgerald Educated the Woman He Loved, 1967. ^ a b Graham, Sheilah. Confessions of a Hollywood Columnist, 1969.